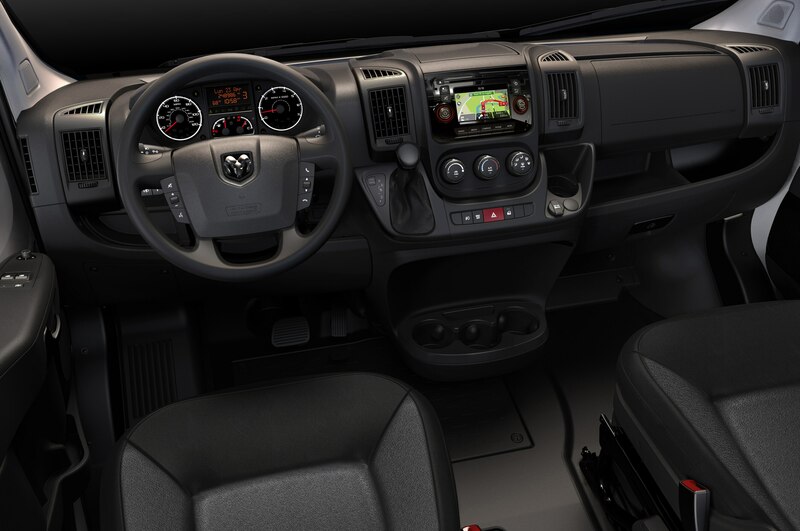 Fiat-based commercial van to go on sale in late summer. When Daimler split with Chrysler in 2007, Dodge lost its Sprinter commercial van, which was little more than a rebadged Mercedes. 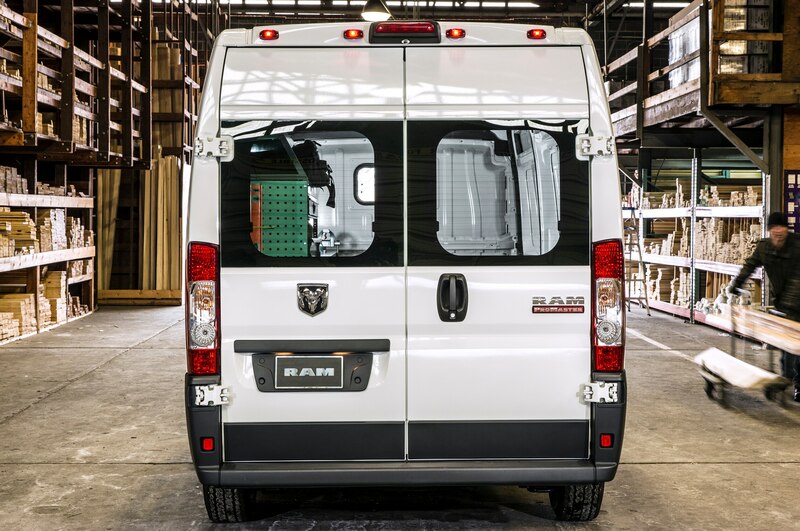 However, now that Fiat owns Chrysler, the Ram brand will now offer a new commercial van in the U.S. called the ProMaster which is based on the European-market Fiat Ducato. 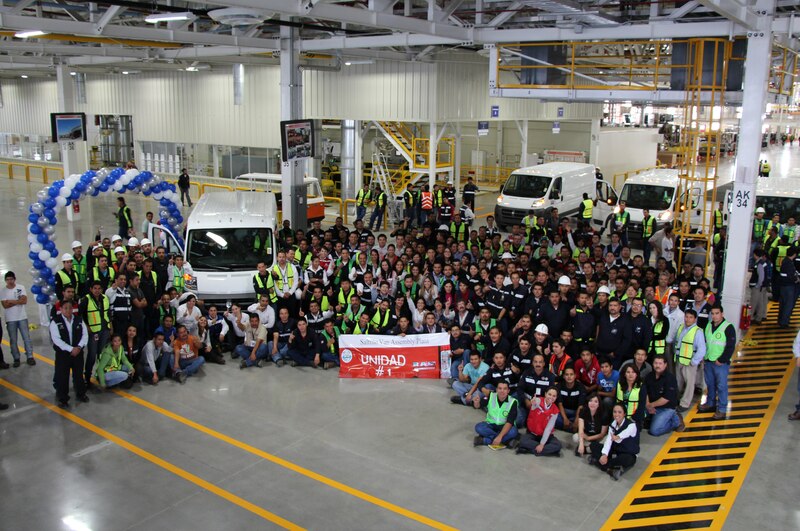 This week, the 2014 Ram ProMaster officially went into production in Coahuilla, Mexico and will go on sale in late summer 2013. 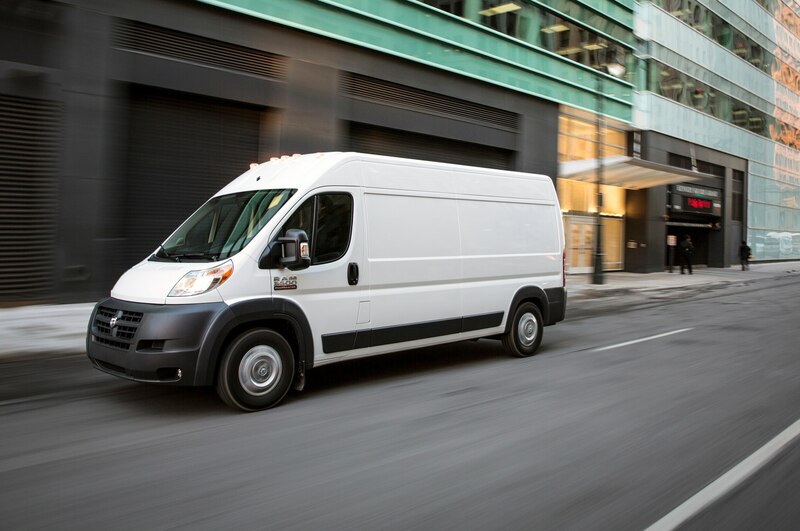 The ProMaster should prove to be a competitive entry into the full-size commercial van segment in the U.S., going up against stalwarts such as the 2013 Chevrolet Express and GMC Savana, as well as the relative newcomer, the 2013 Nissan NV and the all-new 2014 Ford Transit due later this year. 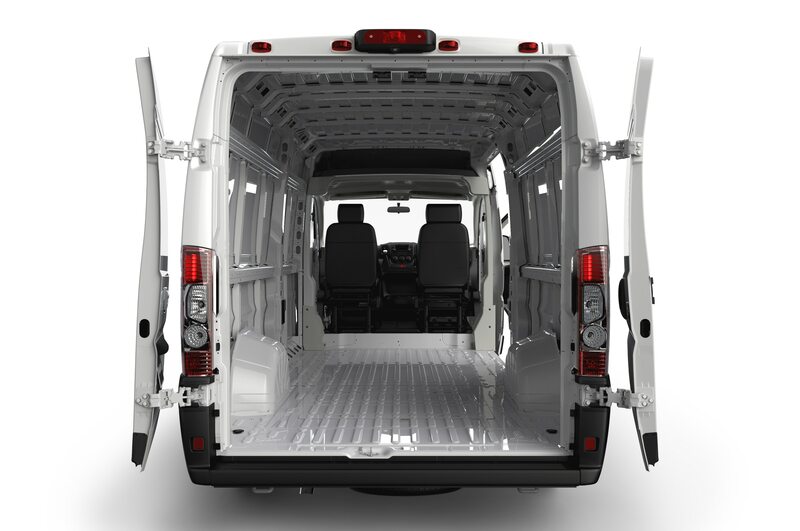 Offering estimated best-in-class fuel economy from an available 3.0-liter turbodiesel four-cylinder engine, the Ram ProMaster starts at $28,630 excluding destination and will be available in 1500,2500, and 3500 cargo van models with two different roof heights, three wheelbases, and four body lengths. Chrysler’s 3.6-liter Pentastar V-6 will also be available, as well as cutaway chassis models. 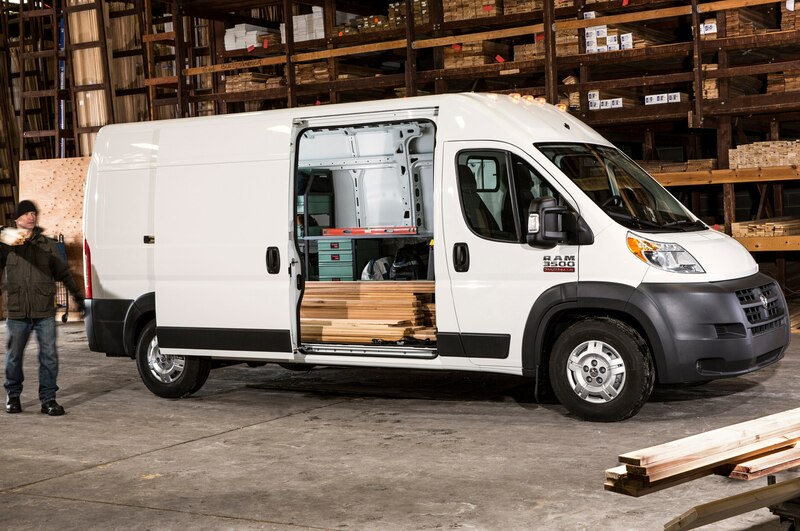 Unlike the competition, the ProMaster is front-wheel-drive, which Chrysler says allows for more cargo capacity, lighter weight, and a lower load floor. 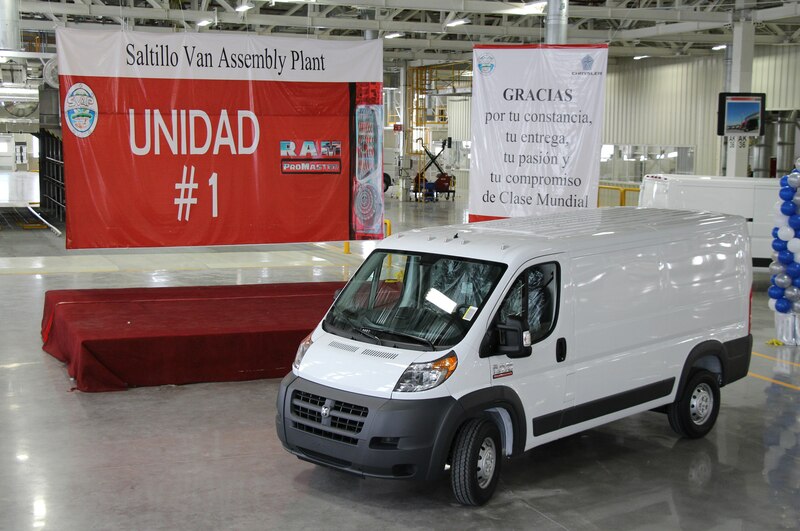 Following Chrysler’s strategy, Ford will also be bringing its European commercial van offering, the Transit, to the U.S. within the next year. Although Nissan shook up the segment by becoming the first import competitor to the domestic vans a few years ago, this move by Ford and Chrysler to offer their European-market vans here marks an important shift in the commercial van segment. 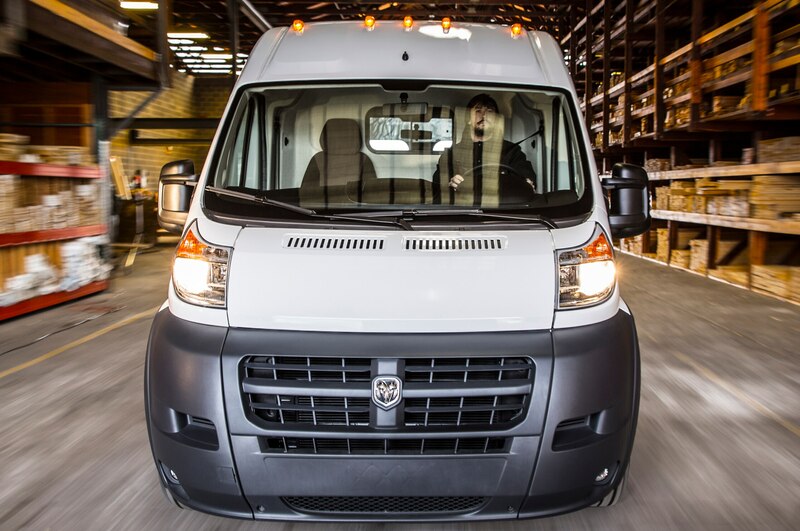 We’ll see how this plays out over the next year as the 2014 Ram ProMaster and 2014 Ford Transit battle it out for the first time on U.S. soil to give businesses and fleets a new take on the commercial van.